Rhian, who lives in Cardiff, has recently retired after 15 years as the first chief executive of the Care Council for Wales. She was a social worker and trainer before going on in 2001 to oversee the formation and then head up the Care Council, which independently regulates and develops the professional education and training of Wales’s social care workforce. In April next year, the care Council for Wales, which she established and guided through its crucial early years, is due to be superseded by the new body Social Care Wales. She said: “My passion has always been to raise the profile and the status of the social care sector and its workforce. “I was totally surprised but very honoured to receive it at such an important event in the calendar which is all about care workers. “I knew Craig Thomas in whose name the award is made and how much he himself did to raise the profile and drive forward high quality in the sector. 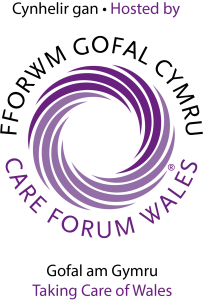 Mario Kreft MBE, the chair of Care Forum Wales, said: “Rhian is an inspirational figure in the social care sector in Wales. “She’s led the Care Council and the sector through some of the most of the significant changes in a generation. The prestigious Spirit of Care Award was won by Tracy Peers, the head of operations at St Asaph-based Cartref Ni Ltd, which supports 35 adults in Denbighshire, Conwy and Flintshire,. Tracy, who has been the company for 21 years, also won a silver award for Leadership and Management in Support Living. 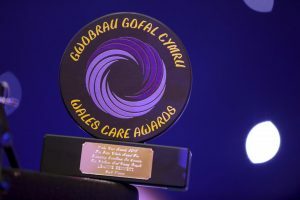 One of the main highlights of the evening was the Dignity in Care Award, once again sponsored by the Welsh Government. This year three people were deemed worthy of the award so there was a gold apiece for former restaurant manager Helen Kermode from Swansea, care home manager Angela Rees from Cardiff and care manager Andrew Guy from Caernarfon. Helen Kermode, deputy manager of Tŷ Camlas, the Tracscare’s service at Ystradgynlais, was just recovering from the shock of winning a gold award at a glittering ceremony when she was called up to the stage a second time. Originally from Devon, she won a gold award in the category for Residential Care Practitioner and had just returned to her seat when she was named as the winner of the Dignity in Care Award. Angela Rees, 54, who lives in Bridgend, is in charge of the Tŷ Newydd care home in Roath, Cardiff, which cares for a small number of women aged 18 to 65 with mental health issues, and is known as an effective leader who is keen for her staff to progress so they can maximise the help they give to clients. Angela, who also won the bronze award in the Nurse of the Year category works for Integra Community Living Options, who have a number of care homes across South Wales for adults aged over 18. The dedicated approach of Andrew Guy, 42, first saw him strike silver in the Excellence in Learning Disability and Mental Health category. Andrew played a key role in putting in place a new system of active support which has broadened the horizons of people with complex needs and seen them taking on work placements and becoming involved in a range of leisure activities. that Andrew has just taken on an important new job training fellow managers and staff at Gwynedd Council to adopt them in other areas of the county and has even helped spread the word abroad. Meanwhile, the Bryn Terfel Foundation Wales Care Award for promoting the arts in social care was given to the Music in Hospitals charity, a national charity established in 1948 that arranges around 5,000 live concerts annually in the UK. The ceremony was attended by the Welsh Government’s Minister for Social Services and Public Health, Rebecca Evans, who praised the social care workers and employers who were at the ceremony. 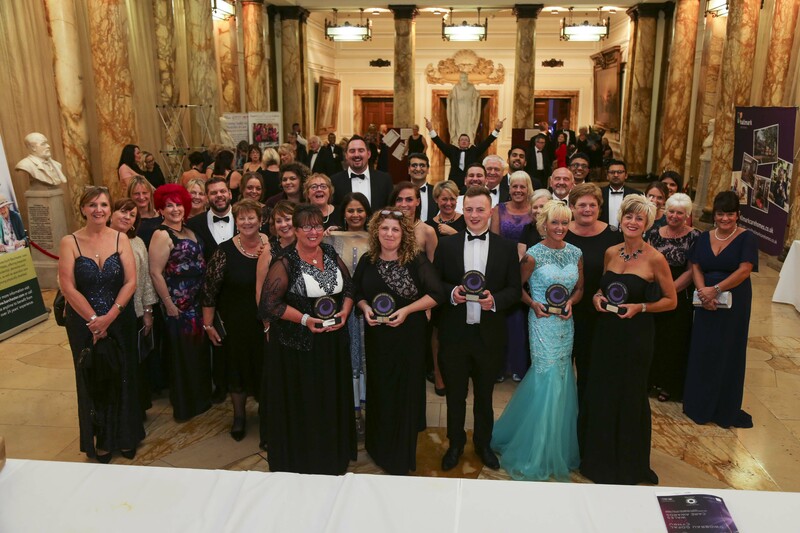 Mario Kreft said the standard of entries for the Wales Care Awards was extremely high. He added: ““This awards ceremony is our opportunity to pay tribute and to celebrate the talent and commitment that is improving the quality of life for thousands and thousands of people throughout Wales.